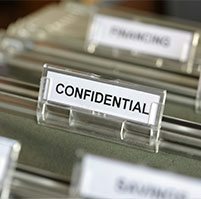 BudgetShred LLC helps you protect the privacy of your family, your business and your clients with paper shredding services, secure document destruction for businesses, secure computer recycling and more. BudgetShred LLC has been serving the needs of customers in the Baltimore-Washington metro area and Northern VA since 2008. Your time is valuable. BudgetShred is on time, every time. If you need your shredding done quickly - ask about Next Day Service. The guys that come and pick up my client documents and office materials for shredding are the best. They work quietly and efficiently, without skipping a beat. In and out working quickly and professionally. This is a veteran owned company and they make me proud to be a veteran. Great service, they do a top-notch job with both our paper and hard drives. Always on time, very professional, great guys. We wouldn't use anyone else for our company's shredding needs. BudgetShred is owned and operated by a former combat tested military officer. Based in Columbia, Maryland, BudgetShred LLC is a locally owned and operated business proudly serving Maryland, Washington DC and Northern Virginia. Established in 2008 by retired Military Officer John Hagerty, BudgetShred works with clients to protect the privacy of their business and customers with safe, reliable and economical document shredding services. BudgetShred has two locations serving the Baltimore, MD, Washington DC, and Northern Virginia area for secure destruction of sensitive papers, media and electronic data. 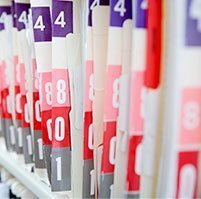 Keep your patient records HIPAA compliant with our secure medical office shredding services. BudgetShred follows all laws governing the safe destruction of personal and sensitive documents. 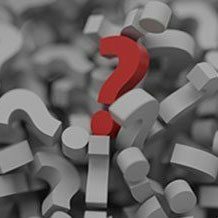 Frequently asked questions about our shredding and recycling services.